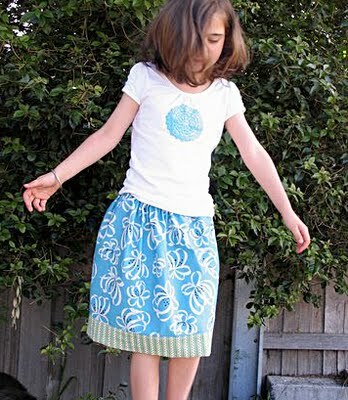 Starting on Monday, October 12, Melissa of One Crafty Mumma is hosting a five-day Lazy Days Skirt sew-along. She already has over 20 people signed up! See her blog for details and to join. And while you’re there, check out her amazing smocked Popover Sundress! Really beautiful work, Melissa. Thankyou for posting the sew-a-long and also for your lovely comments regarding the smocked popover sundress.